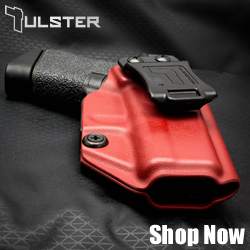 Check out this custom print holster from Warthog Holsters! 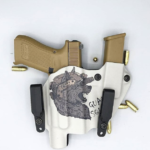 This Glock holster with mag carrier features the Civ Militia logo. 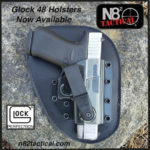 N82 Tactical has announced that they now offer Glock 48 holsters. 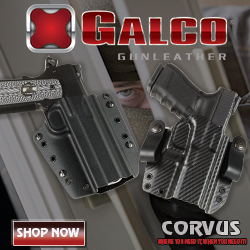 Holsters available for the G48 include the Pro Tandem, Ambassador, Professional, Envoy, Ambassador, and Tuckable Compact Slim. 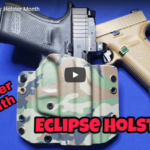 This holster review takes a look at an OWB holster from Eclipse Holsters. 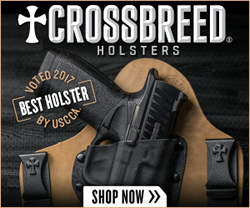 The holster reviewed was designed for the Glock 19X and features a Woodland Camo pattern. 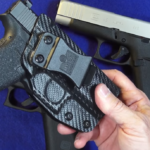 Does a Glock 43 holster work with the Glock 43X and Glock 48? 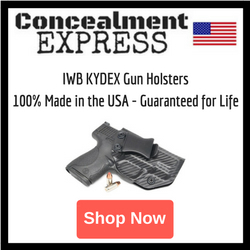 This video demonstrates holster compatibility with the IWB Holster from Multi Holsters. 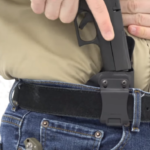 Shooting Illustrated takes a look at The Errand Holster from Keepers Concealment. The Errand is designed to be worn with or without a belt.